Click the map above to see all homes for sale by subdivision. Updated every hour. 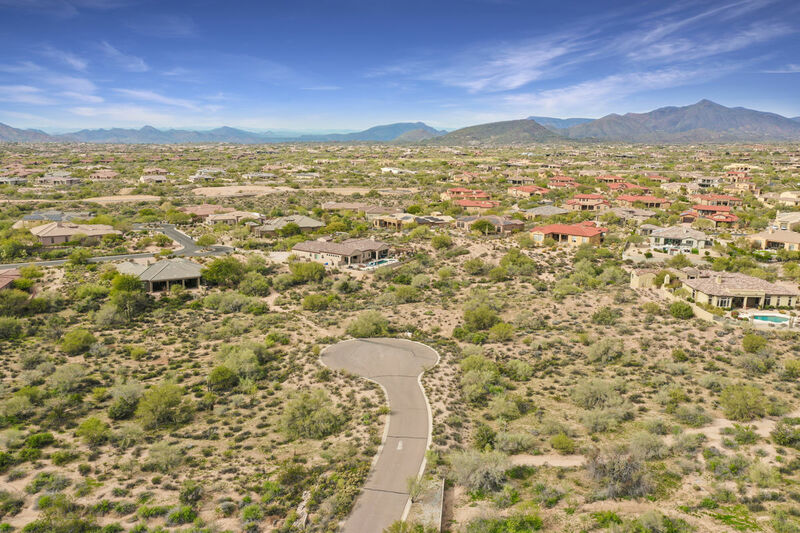 Communities south of Desert Mountain enjoy the scenic beauty of the High Sonoran Desert, views of the Continental Mountains and Tonto National Forest to the North and city lights and McDowell Mountains to the South. 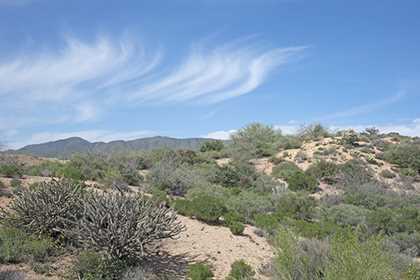 Many say Mirabel Club rivals Desert Mountain, but on a smaller more intimate scale. 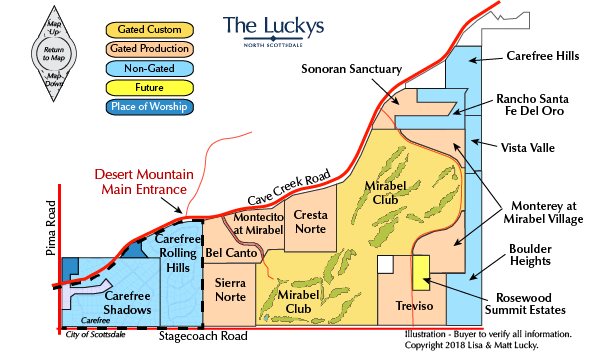 The Mirabel (referred to as Mirabel Club to distinguish it from the general area called Mirabel Village) is a guard-gated community situated on 713 acres of pristine Sonoran desert land at approx 3,000 feet elevation, offers 315 custom home sites that range in size from 2/3 of an acre to over 2 acres. 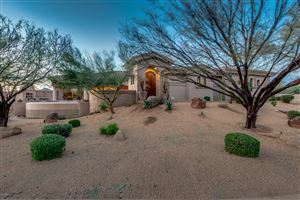 Check out Mirabel Club real estate and the other dozen gated and non-gated communities found just south of Desert Mountain. See all South of Desert Mountain New. 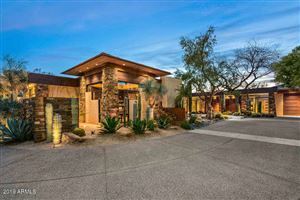 See all South of Desert Mountain Sold.